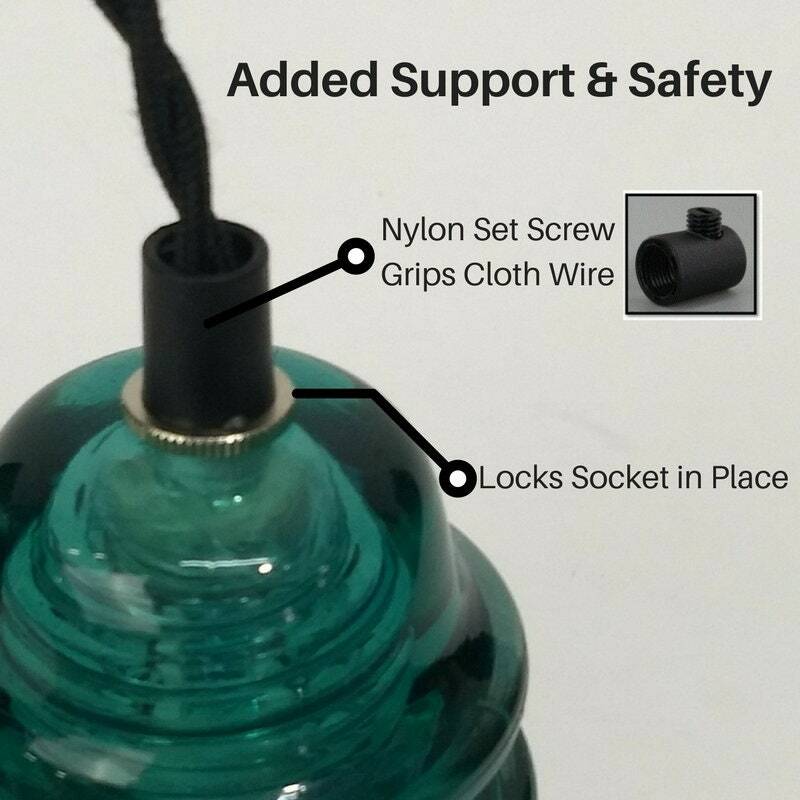 DIY Insulator Swag Light Parts Kit with 13 Feet of Black Cloth Covered Wire, Vintage Style Plug, Hardware and LEVITON on/off Switch. We Made DIY Glass Insulator Plug-In Pendant Lights Simple. All the right parts in one kit. 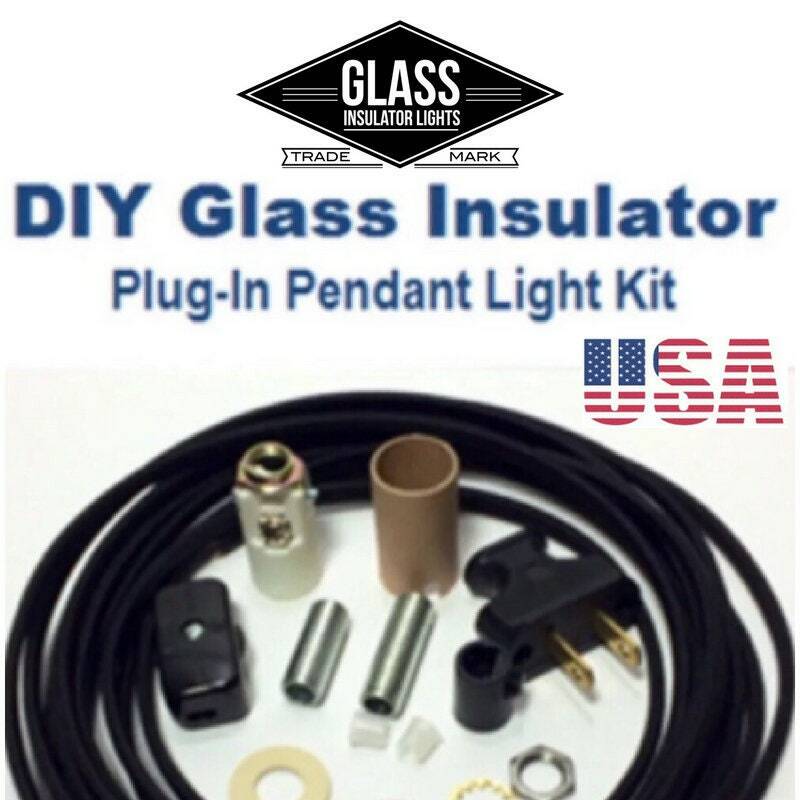 Just drill thru your favorite insulator or purchase one of our pre-drilled insulators and the kit provides you everything else you need. 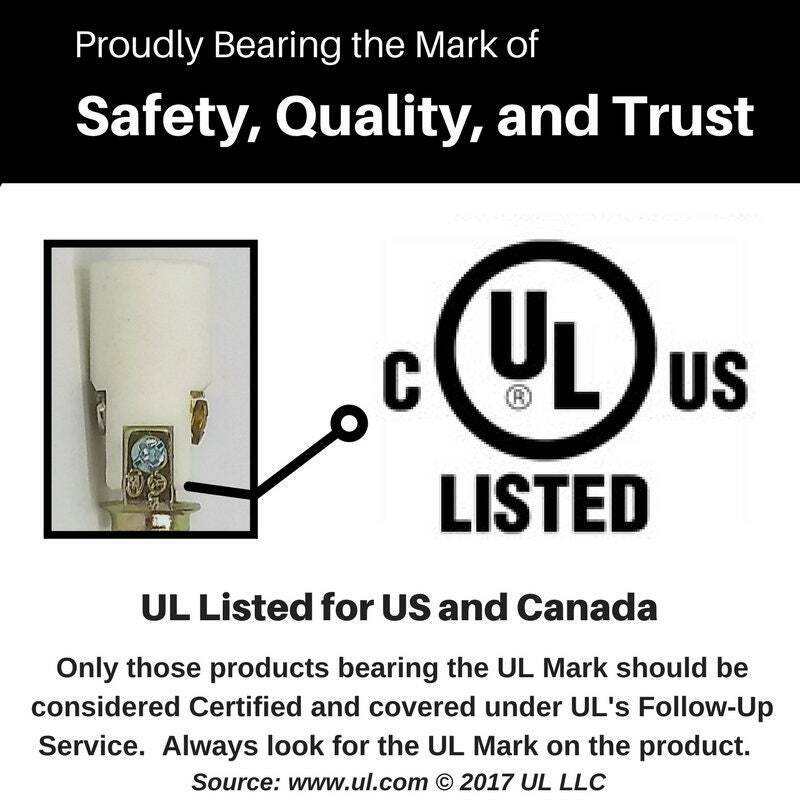 • All NEW UL Listed Lamp Parts. 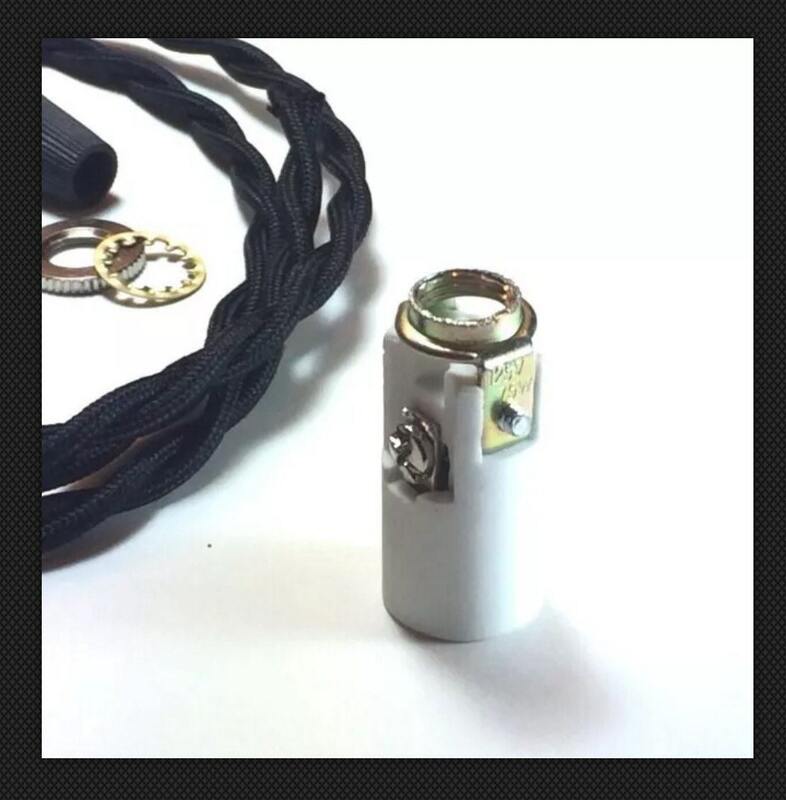 • Strain Relief with set screw to keep the insulator from slipping. • Pre-Cut Threaded Lamp Pipe - Includes 2 different sizes. 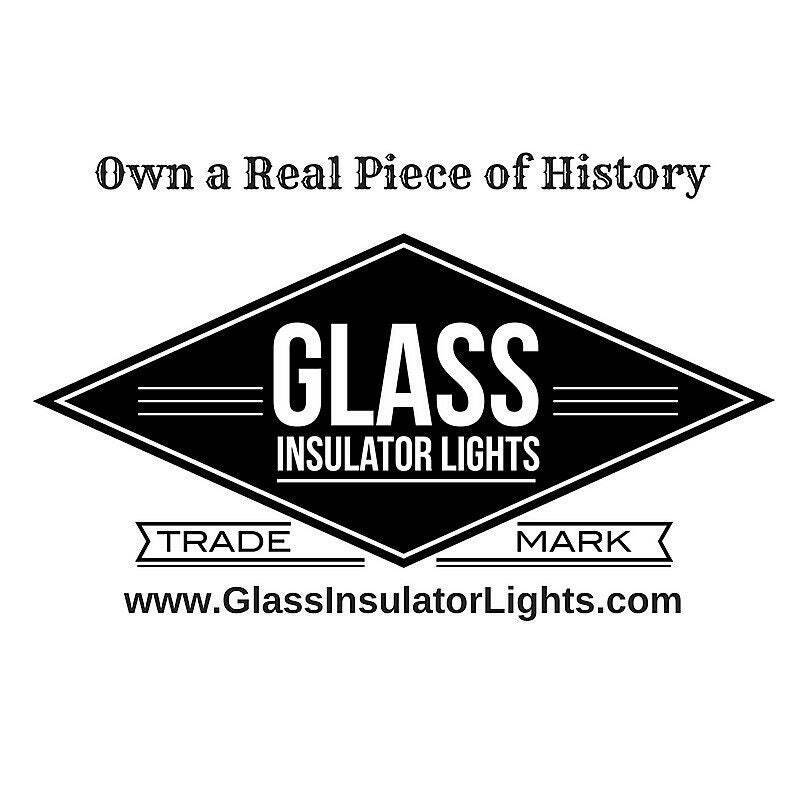 Every insulator is different and the thickness of the glass varies. We provide two different sizes to accommodate the thickness of your insulators. If one is to long/short use the other size. Simple! • 2 Pipe Bushings. 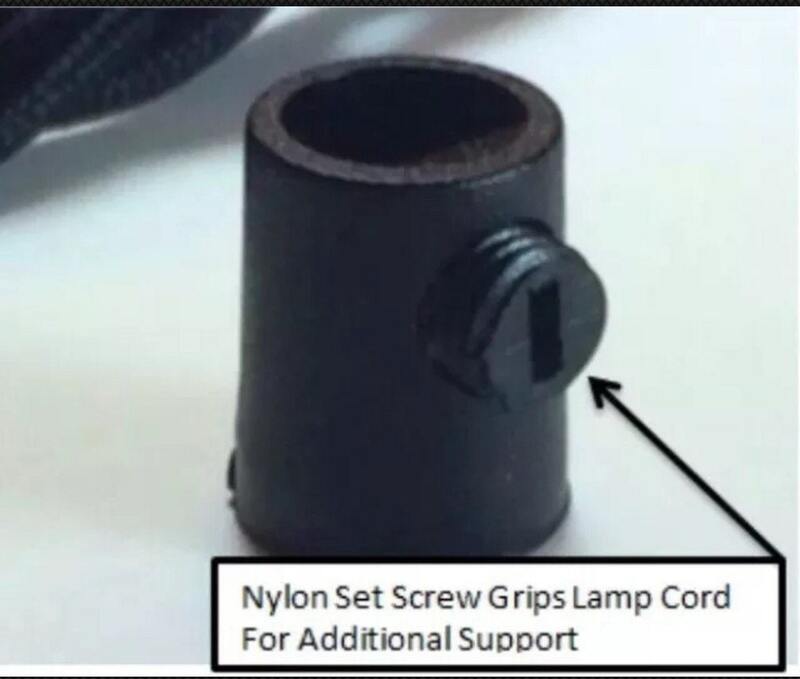 Easily fits inside threaded lamp pipe to protect lamp wire. • 1 Rubber Washer. Provides additional support without cracking the glass insulator. • 1 Lock Nut - Supports socket and insulator and looks great. • Cloth Covered Wire - 13 Feet of Vintage Style Cloth Covered Wire. 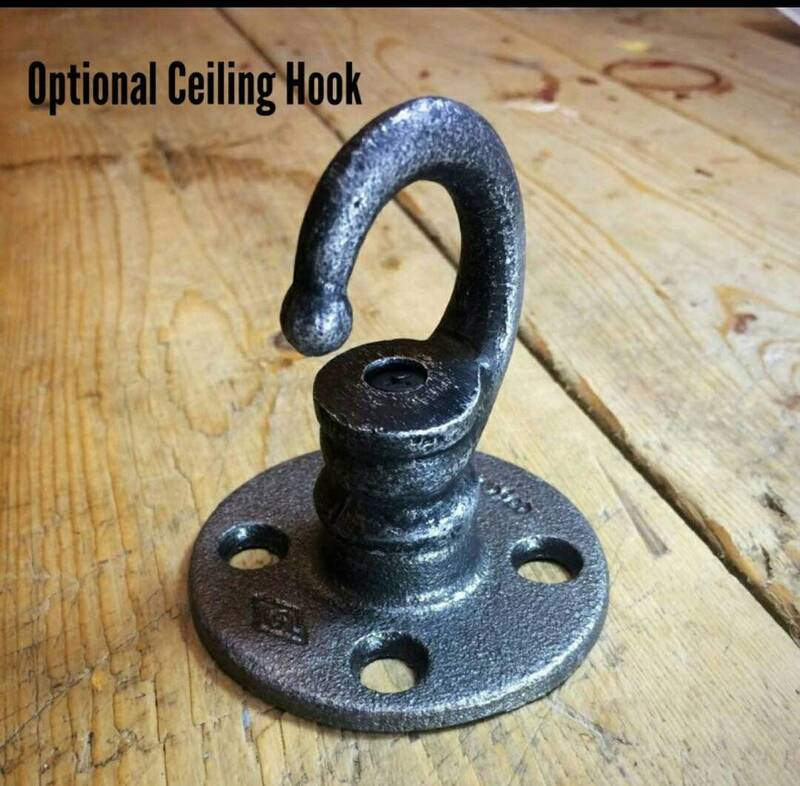 Add the perfect touch to your DIY Swag Light with our cast iron ceiling hook. Hooks are discounted at time of purchase. Please note mounting screws are not included. Get your Insulator Light with our LED Bulb. They are the perfect size for insulator lights, produce the most light and their low heat makes them the safest bulb to use. 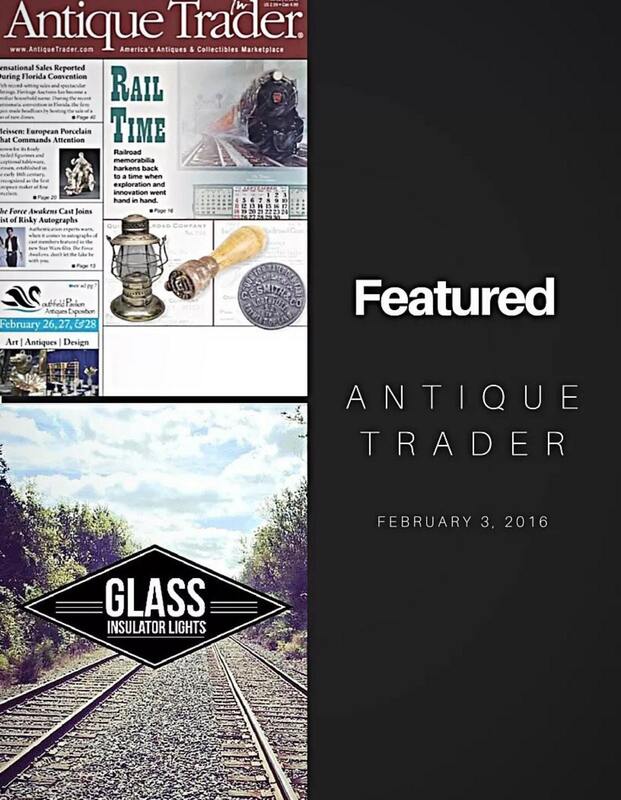 Everything you need for your glass insulator project we stock. DIY Kit ships within 24 hours of payment thru USPS. Tracking Number is emailed to buyer.